Brought to you via MotoringFile. "2015 MINI Cooper 5-Door Review: Seriously Sensible Fun"
X-FACTOR: The grown-up way to enjoy a MINI without missing out on the fun. The extra space in Mini's new 4-door is helpful, but don't expect miracles. With 32.3 inches of rear legroom (vs. 30.8 in the 2-door) adults can fit more easily in back, but they won't be spreading out. Rear cargo space is also enlarged, relatively speaking. My biggest nit with this test car was its not-so-Mini price tag. Loaded with features such as navigation, head-up display, folding side mirrors and heated seats, this 2015 Mini Hardtop cost just shy of $36,000. That's about $10,000 beyond the S model's base price (4-door models with the 3-cylinder engine start around $22,500). This tendency for prices to climb quickly with options isn't unusual for Mini -- it's also a reminder that this is a premium brand owned by BMW -- but it is something to beware of if you're lusting after one of these new cars. autoevolution has a photo gallery of spy shots together with rampant speculation. 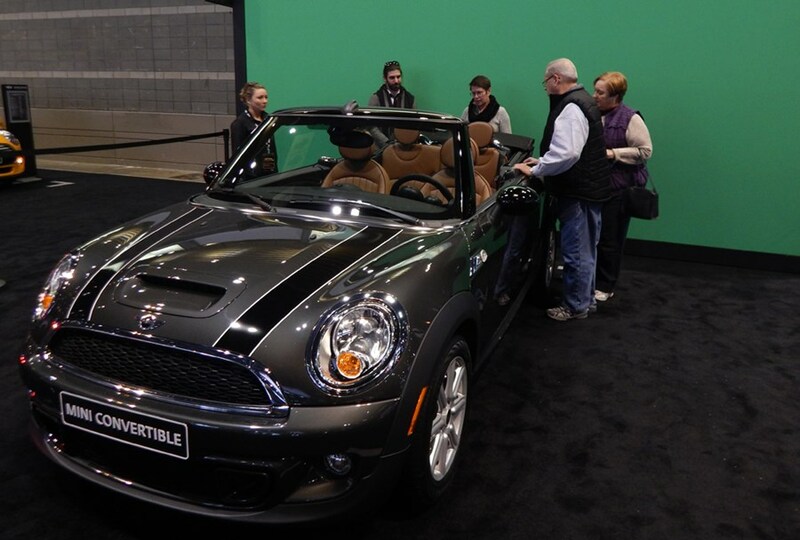 The MINI display at the Chicago Auto Show boasted an interactive contest with winners getting a chance to hot lap the Indianapolis Motor Speedway in a MINI convertible. The objective of the contest is to create a video that would gain the most Facebook Likes. With a camera recording, participants sit in the MINI Convertible in front of a green screen as the car races down an imaginary country road. Participants are emailed a link to their video so they can share it on Facebook to increase their chances to win. A representative said that over 600 people have participated in the contest so far. The videos can be found at MINIUSA.com. The contest ends one week after the close of the Chicago Auto Show. Here it is, according to WorldCarFans, the next generation MINI Countryman S.
ZEFR, a leader in YouTube marketing, puts MINI USA in the spotlight and discusses how it uses social media to engage fans. Easy to park, easy to drive and with a fun loving personality, it’s a road trip car that adds to the fun and an enjoyable car to drive around town. Even better, the Mini Cooper is small enough that you can fit in and park anywhere. And these days, who doesn’t want to avoid as much stress as possible when behind the wheel? . . . . The first markets to launch the global partnership are Indonesia, Japan, France and Switzerland, with several others expected over the course of 2015. . . .
By tapping into a security flaw in a digital-service system, hackers could wirelessly open BMW, Mini and Rolls-Royce vehicles in minutes, according to a report by German auto club ADAC. About 2.2 million vehicles equipped with BMW AG’s ConnectedDrive service were vulnerable, ADAC said. The Munich- based carmaker said it upgraded the system to close the security gap and that the software update will take place automatically when a vehicle connects to BMW’s server. Read the entire article for more information and BMW's response. Here's what you missed as reported by KRCR 7 News. The [MINI] Clubvan Camper is being called the world’s smallest luxury camper van and the basic Clubman has been adapted to provide sleeping for one person by removing all the other seats besides the driver’s. The bed (with storage underneath) extends from front to back on the passenger side of the vehicle and the space behind the driver’s side becomes a kitchenette which extends on rollers out the pair of rear doors. The kitchenette includes a two burner stove with slide out counter space, storage and a chest refrigerator. The Clubvan also has an auxiliary heater, a small flatscreen TV and a handheld shower designed to be used outside the vehicle. Kyle Conner @ YouTube offers 19 minutes of fun carving the Tail of the Dragon. Richmond Hill. MINI Canada today announced that the MINI Cooper 3 door has received the 2015 Canadian Residual Value Award from ALG , the industry benchmark for projecting future vehicle values and depreciation data. The annual ALG Residual Value Awards honour the vehicles and brands that are predicted to retain the highest percentage of their original price after a three-year period for Premium brands and a four-year period for Mainstream brands. 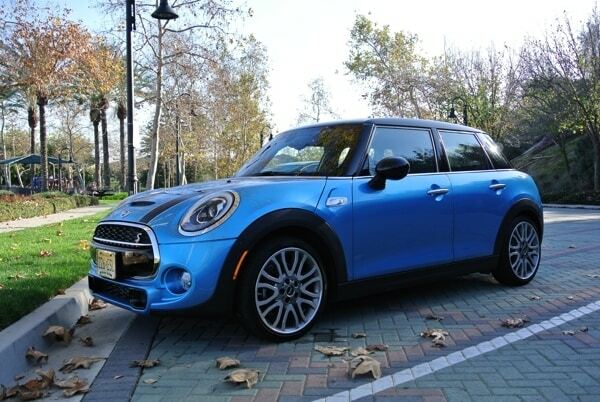 The 2015 MINI Cooper 3 door received the award in the Premium Compact Car category. This the third consecutive year that MINI has earned this prestigious award, having previously placed first in the Premium Compact Car category in the ALG Residual Value Awards in both 2014 and 2013. 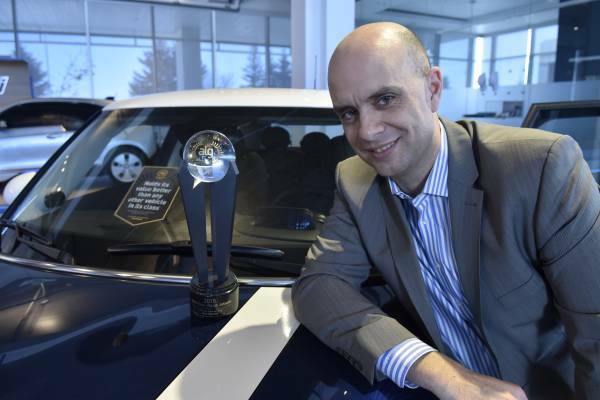 Geoff Helby, Canada Regional Director at ALG , concurs, stating: “The MINI brand has long been a case study in resale retention strategies, and the Cooper's iconic styling helps to set it apart from everything else on the road. The 2014 redesign, carrying forward into 2015, brought a styling shift that is highly evolutionary, which helps to keep values of older models aloft." Our car, fitted with the £2,250 'Chili Pack' which notably includes a multi-function steering wheel, particularly brilliant sports seats and the aforementioned driving modes feels like a quality, well-made product and should once again contribute to Mini's exemplary sales in the UK. It's time that non-S Minis get the recognition they deserve from enthusiasts. It's most definitely justified. There is no doubt that no other car in this price bracket offers those things, and that's a big part of why the revived Mini brand has taken the world by storm. Yet with so many more refined, better-driving, more affordable small hatchbacks on sale today, the 2014 Mini Cooper fails to excite this editor. auto-types Says 2015 MINI Cooper "Makes Every Task Easier"
. . . amazing handling techniques with perfect finish and fit. 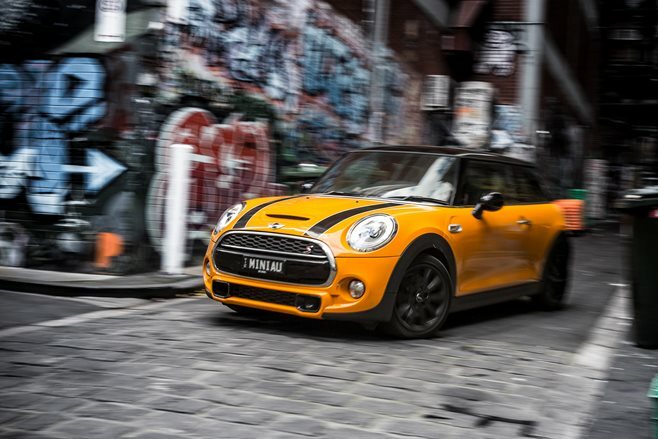 The MINI, in almost any of its configurations, is a blast to drive. When stepping on the accelerator, you'll have a car that really enjoys getting out of its own way, fast. Able to leap off the line, corner flat through a hard turn, and stop on a dime, not to mention be able to find a parking space virtually anywhere, it is truly a special ride. Unfortunately its small size may not be enough for everyone. Munich. MINI, the British premium brand, continued its success in the annual readers' choice rankings of "auto, motor und sport" magazine with a double victory. The vote for the "Best Cars of 2015" finished with wins for MINI in two vehicle categories, taking top places in imported car rankings. The new MINI was the immediate winner in the small car segment by a comfortable margin. Also produced in the British MINI plant in Oxford, the MINI Coupé came out on top in the "Mini Cars" category. This is the 39th year for the public survey conducted by "auto, motor und sport" magazine. There were 386 current models to choose from in eleven categories. More than 112,000 readers were asked to choose their favourites in an imported car ranking and an overall ranking. The results once again underline the huge popularity of the MINI brand. Every year since 2001, the models from the British premium brand have gained a place among the winners, particularly in the imported cars rankings. To date, MINI models mainly dominated the rankings for imported "Mini Cars". This was the first year that the latest generation of the MINI competed in the "Small Car" category, also garnering by far the highest approval rating. 25% of votes were cast in favour of the new original from the UK, available for the first time not just as MINI 3 door, but also as MINI 5 door and scoring significantly higher than its predecessors in the areas of driving comfort and spaciousness and in the choice of driver assist systems. 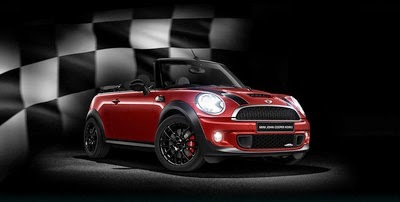 However, the brand also continues to hold its own with victories in the "Mini Cars" category. 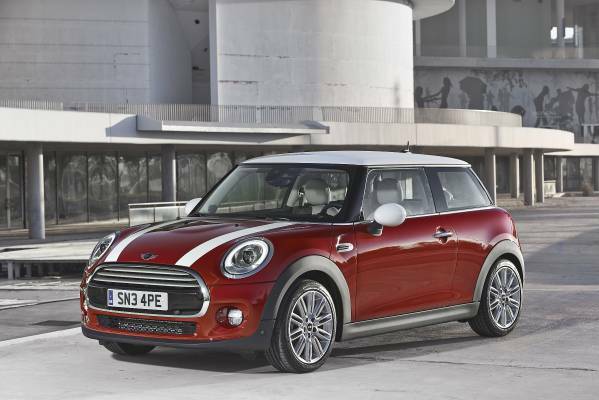 Here, the MINI Coupé won out in the imported car rankings to be chosen "Best Car for 2015" in that category. 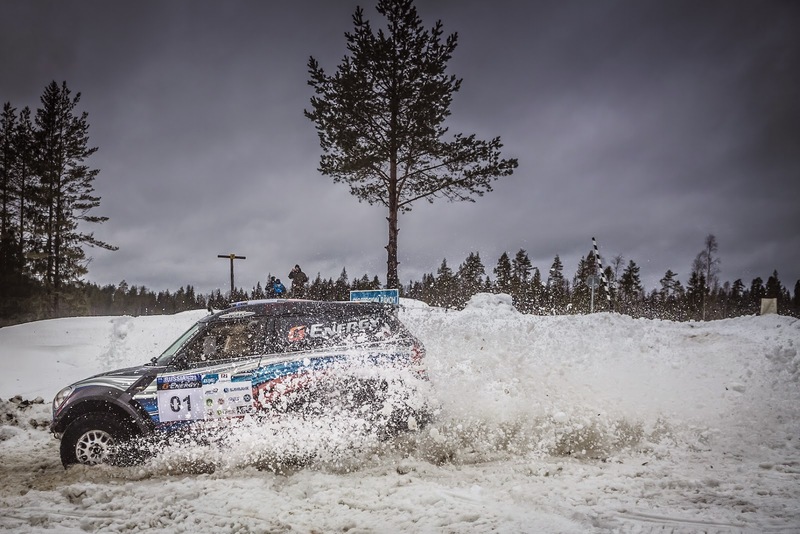 The consistently sporty two-seater managed to capture 21.9% of the vote. In addition, the MINI Coupé also took third place in the overall ranking, giving MINI another place on the winners' podium. Stroudlife tells the story about why this U.K. Countryman ran away. For the time being, he tells us, the John Cooper Works is as fast and powerful as Mini production cars are going to get. Auto Express focuses on MINI's release of the Sport pack for the MINI in the UK that gives it styling upgrades to match the JCW for 3,300 quid for the S model. 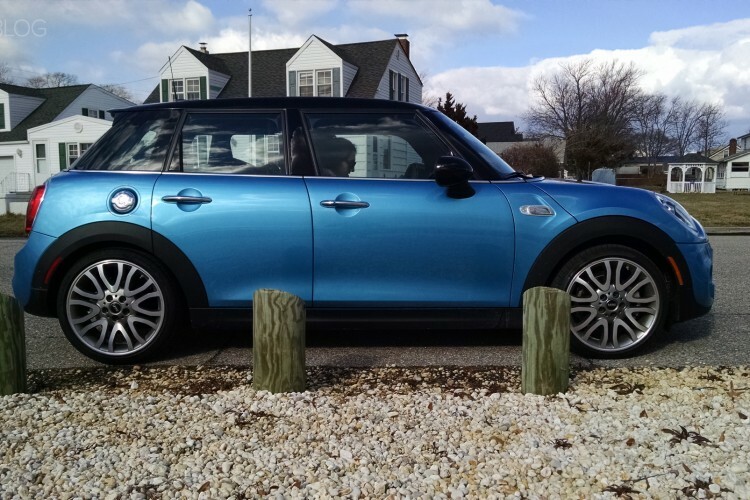 All summed up, the MINI Cooper S 4-Door is worth every penny of the $35,000 my tester was, however it can be optioned cheaper and still be just as much fun. But the 4-Door model is more practical than the 2-Door and worth getting for any couple with one young child but still values fun over anything else. The first sales figures of the year are in! The result is good but don’t get carried away by the headline above. With 2,543 vehicles sold during the same period last year, January 2014 was MINI USA’s lowest sales volume since 2010, which puts in perspective the 26.9% difference with January 2015. When looking back at previous years, January 2015 is only 454 cars shy from matching MINI USA’s best start ever and that was back in 2013. . . .
CarTrade.com chooses the MINI John Cooper Works Convertible as one of the top ten best sounding cars. It’s hard to make any assumptions at this point. The JCW is faster and more focused than any standard JCW model before. But how does it compare to the revised F56 MCS not to mention competition from VW, Ford and the like? And what does this thing weigh compared to the already spelt MCS? These are questions that will have to wait until spring when we get behind the wheel. 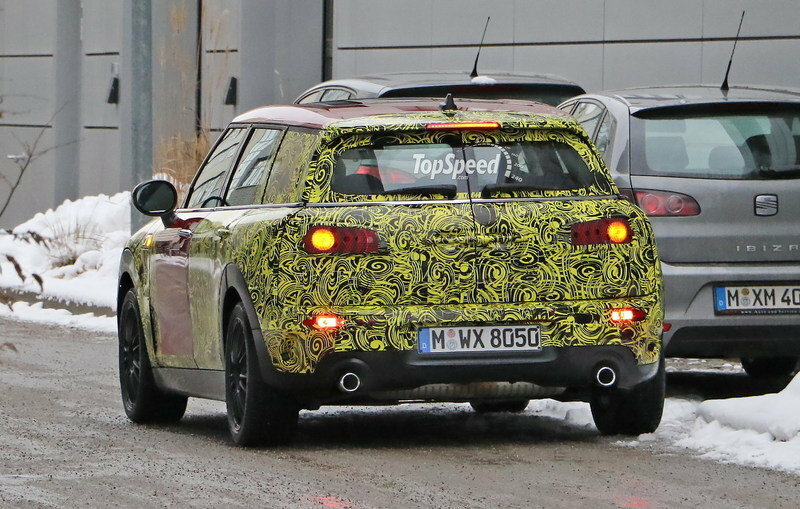 TopSpeed hosts spy shots of a MINI Clubman testing in camo, this time with production tail lights. Some linked the brand’s tumbling sales to falling gas prices and too many variants of similar models, but David Duncan, vice president-Mini of the Americas, lays the blame on one thing: lack of availability of the new Mini Hardtop, its best-selling model. Driving the four-door Mini is much like the two-door—the phrase “go-kart handling” still applies. Steering is quick and precise, with good feel both out on the open road and around town. Stomping the gas brings the three-pot motor to life for passing maneuvers, stop-light getaways, or just plain fun. And now you can do it with your two closest friends (or your three skinniest acquaintances) along for the ride in the back seat. Pricing for the Mini four-door starts at $21,700. The Cooper S model, with a larger engine, better suspension, and nicer interior starts at $25,100 and has a top speed of 189 mph. There are a host of options and option packages available to customize your Mini four-door. Clicking on the website’s “build” button brings up the message “Loading over ten million possible combinations.” After playing around with it for a while, I settled on a Cooper S in Moonwalk Gray with a black roof and 17-inch black Cosmos Spoke wheels. Only 9,999,999 more to view. a Countryman prototype sporting hybrid stickers. 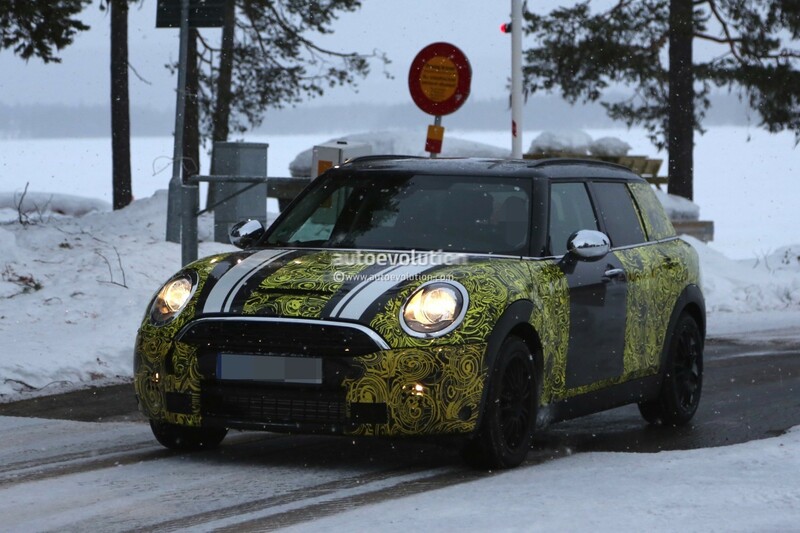 The Countryman plug-in will use a small turbocharged three-cylinder engine to power the front wheels while the electric powertrain will take care of the rear wheels. 2. JCW Minis are frequently crossed-shopped with Porsche. At first, it sounds a little far-fetched for someone interested in the near-flawless sports-car dynamics of Porsche to also have a hotted-up front-wheel-drive hatchback on their radar. Apparently there’s a closer relationship than meets the eye, though. Looking for the return of the even wilder Mini GP? You'll have to wait until the end of the car's current life cycle. U.K.'s Auto Express, in its long term review, gives the new MINI Cooper 5-Door five out of five stars. So, first impressions? Excellent. The MINI’s beautifully designed, with head-turning looks and improved practicality over the three-door, and it’s lots of fun. Yet I’m not going to shout about my love for it – the more attention I draw to it, the more likely it is someone will want the keys. In Orange County Florida - Four Men, Four Deer, One MINI Cooper. Mini Cooper apparently wants to get even smaller. Though Mini already has a wide array of compacts in its lineup, the company might be teaming up with Toyota to build a smaller version of the Mini that would be called the Minor, according to German magazine Autobild. The magazine said the Minor would be based on the Mini Rocketman concept unveiled at the 2011 Geneva auto show and would be more than a foot shorter than the basic Mini three-door hatchback. Mini Cooper Ss haven’t traditionally made the greatest performance cars. But you always forgave them because, by god, if a devilish titter didn’t erupt from your gob during a fast blast up your favourite road, you needed emotional defibrillating. But the new Mini Cooper S, while no doubt a better car than its predecessor, feels heavy, mired in too many electronics and just less fun. A great platform in dire need of aesthetic and handling venom. Proper tyres and soon to be released JCW package couldn’t come sooner.